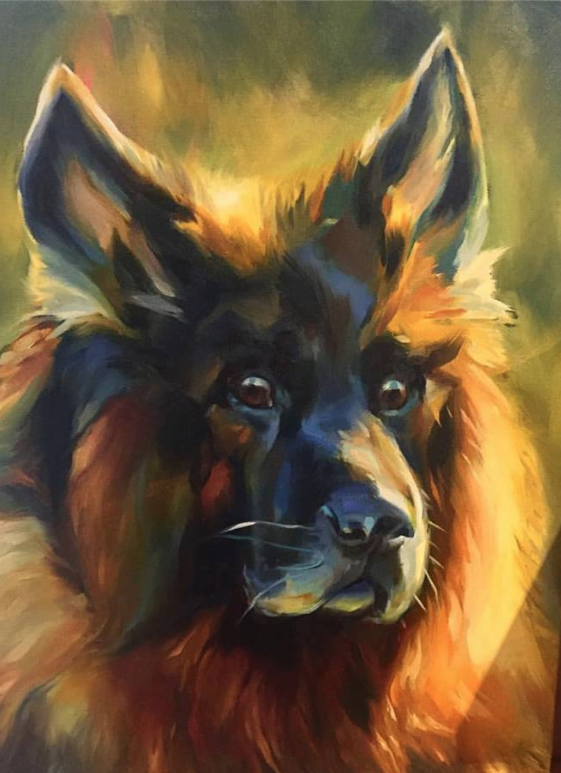 January’s Market Gallery artist, Martha Wirkijowski has quite a knack for creating gorgeous oil paintings from photographs, and she wants to paint a portrait of your favorite person or pet! Pictured here is her beloved dog from childhood, Lobo. The rendition from photo to paint is just beautiful! Commissioning an oil painting from this talented local artist is an incredible way to celebrate an important soul in your life ♥ ♥ ♥. Interested? You will find Martha painting portraits at the market on Saturdays & Sundays through the end of the month.